WildBit Viewer is provided as freeware for private (non-commercial) or educational (non-profit organization) use. 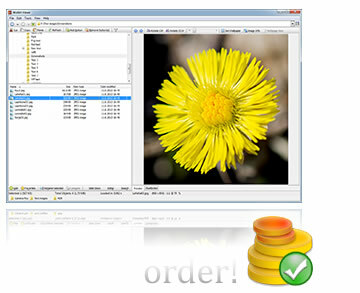 In these cases, you are granted the right to use and to make an unlimited number of copies of WildBit Viewer. Note!, please see complete License Agreement. However, for commercial use, it is required to register the software. Registering is an important source of support in the development of future versions. WildBit Viewer Pro is provided as shareware. This means, that you must buy single license or multiple licenses in order to use it. Note!, please see complete License Agreement. On payment approval, you will receive by e-mail the registration information what enables you to register the programs under your name. Registered name will be shown in the About window under the Help menu of the programs. Note!, you can register software in one software then you have registered all of those six softwares (Viewer,Slide Show,Editor,Search,Profile Switcher,Multi Screen Viewer). WOW!! Your registration key will be valid for all future versions!